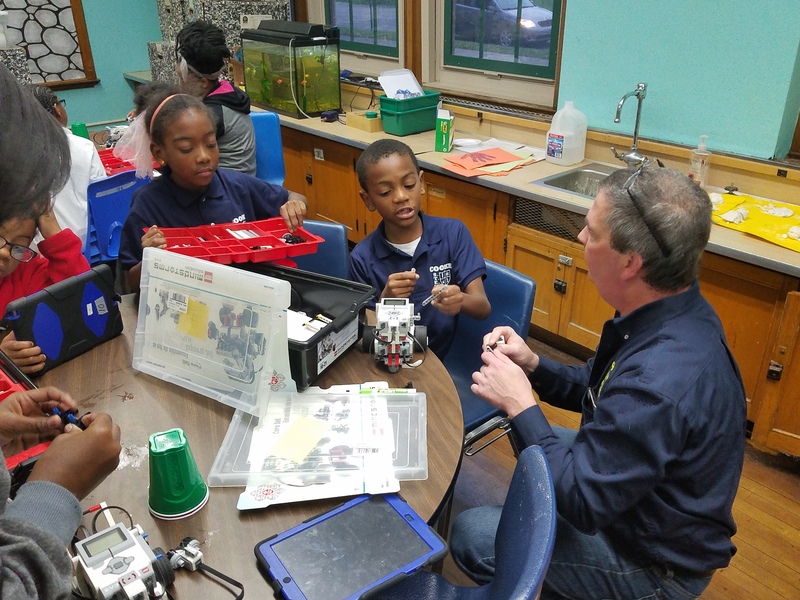 The students at Cooke STEM Academy are learning to work together to build and program robots! 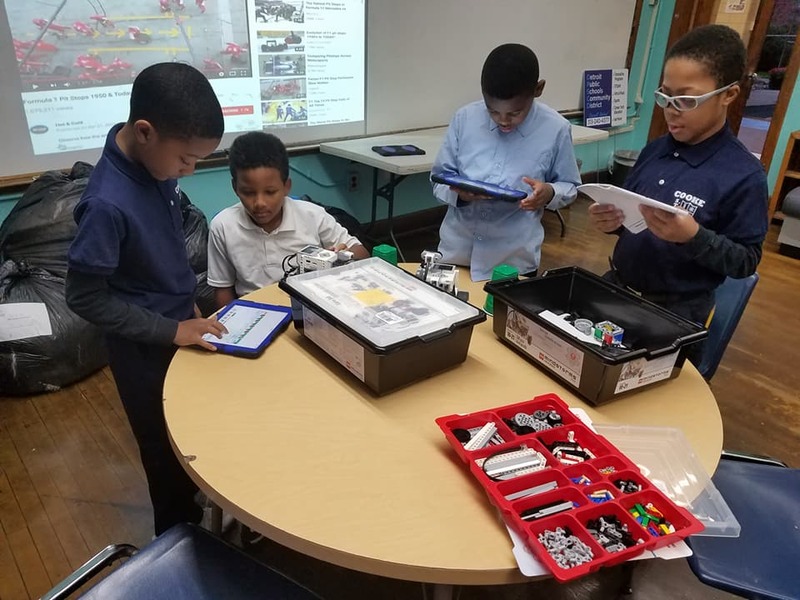 The Cooke robotics team, consisting of students in grades 3-6, uses the Lego Mindstorm kit and iPad coding program to assemble and program the machines under the direction of a community volunteer and Bosch engineer. 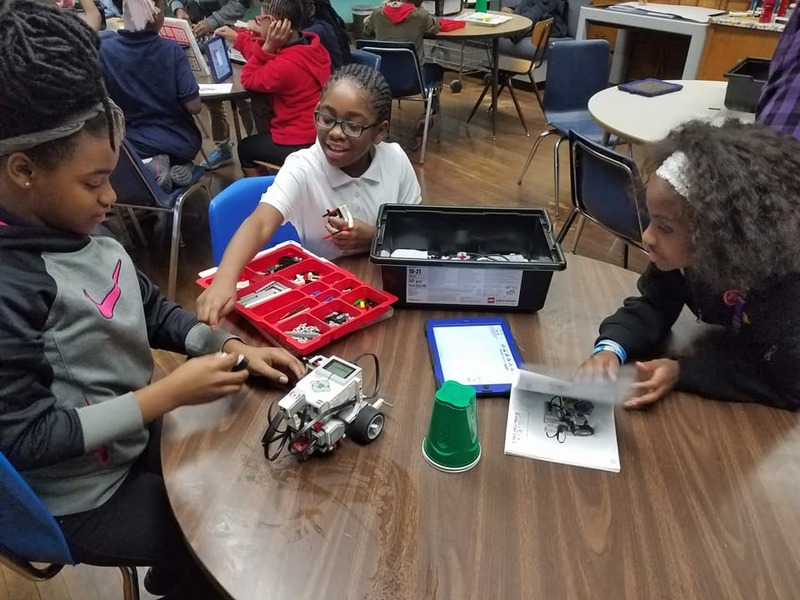 Students are developing critical thinking, problem solving, and engineering skills as they build, manipulate and troubleshoot their team robots.